Just because I haven't seen it mentioned directly, though there is an update thread. Also, it's almost at the bottom of the update page. World of Tanks servers will be down March 20 from 01:00 to 06:30 PT to get everything in order. Time convertor for those that need it. Go to the bottom and hit other time zones which will list specific times and should determine your location/time zone. Players with Premium will be credited an additional 24 hours of Premium Account time to make up for the maintenance period. If you’d like to make any in-game purchases, please wait until the servers are running again. those blue prints come just in time since I am starting a few new lines! Can't wait. I'm toiling in the Tiger II grind right now, any relief would be welcome. Reserves, Blueprints... why not just cut the tech tree xp in half? Because then there'd be riots, and who the hell wants a Maus fighting a Pz. 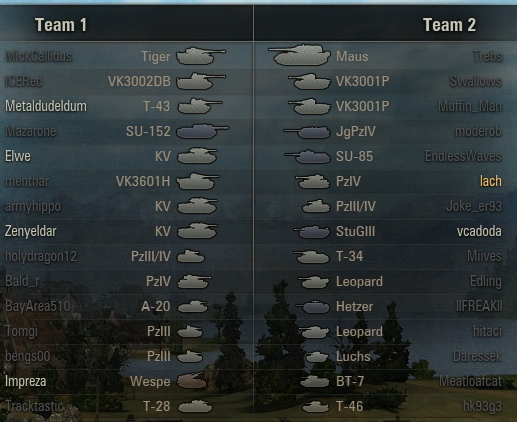 IV H at tier V? My point exactly. I bet that match was hell. Awww ... I "almost" remember fondly the good'ole days ! Back when the game was sooooo much better. Its so you will go for more tanks. I do like the discount on exp though. Maybe they will have something in future to discount credits or modules too if this works. i think people are really forgetting that the blue prints aren't really going to help much in the end. You'll have to grind for them. its completely random which tank you get a piece for and they didn't mention anything about possible duplicate pieces. Guarantee the chances of getting a piece for a high tier tank is much harder than a lower tier tank and they will milk it for all its work. Blue prints are the illusion of faster progression. Keeps you playing more in the hopes of that big pay out. Theoretically in the long run blueprints will allow players to skip up new lines in the future because of the universal blueprints, the short term gain is going to be little to nothing. It's more of an exponential growth when you start stacking the blueprints. Say you play for a year and finally have about 100 universal blueprints, you can free xp up to say the t6 in a line then blueprint your way up to the t8 or t9 and grind your way from there. News and Information → News and Information → SITREP! USC server Disconnects. Game Discussion → General Discussion → Feedback / Suggestions → A NEW UPDATE! Has it been 48 hours already?